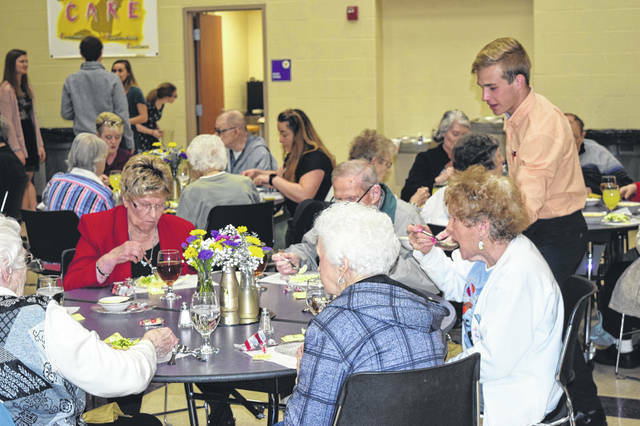 Eaton Community Schools hosted its annual senior citizens luncheon on Thursday, March 28. 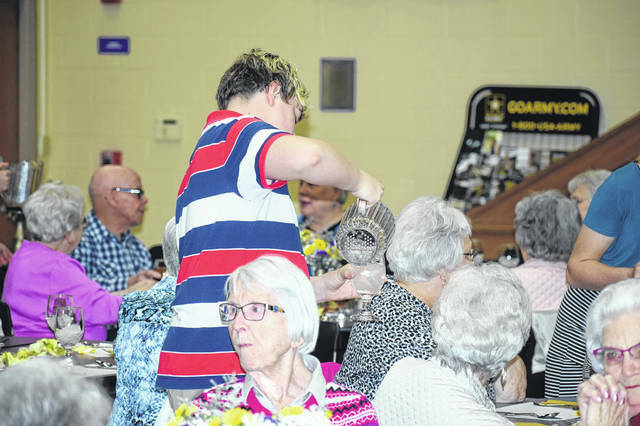 The event featured entertainment from the school’s jazz band and scenes from the school musical. Lunch was catered by Buckeye Jake’s. 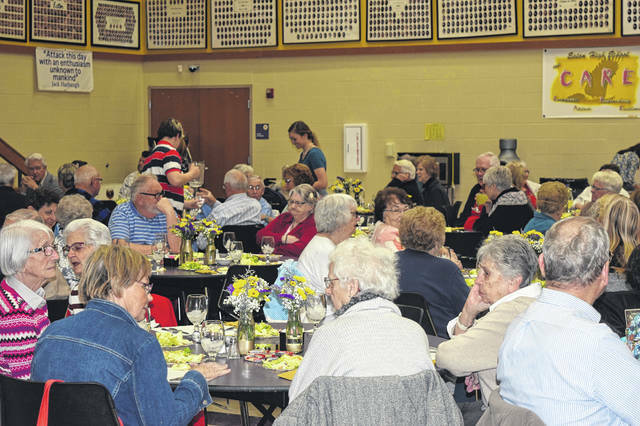 EATON — Eaton Community Schools hosted its annual senior citizens luncheon on Thursday, March 28. 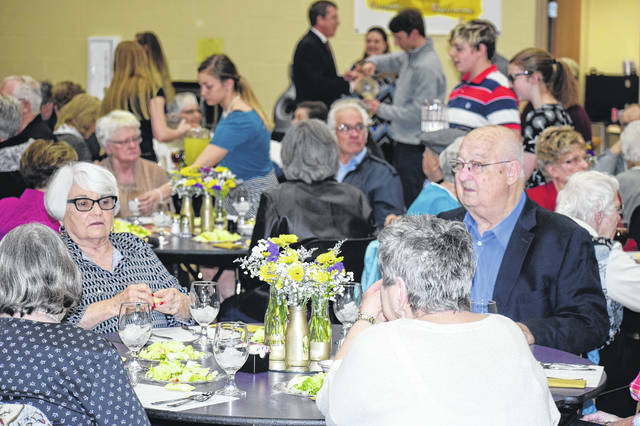 The event featured entertainment from the school’s jazz band and scenes from the school musical. Lunch was catered by Buckeye Jake’s. 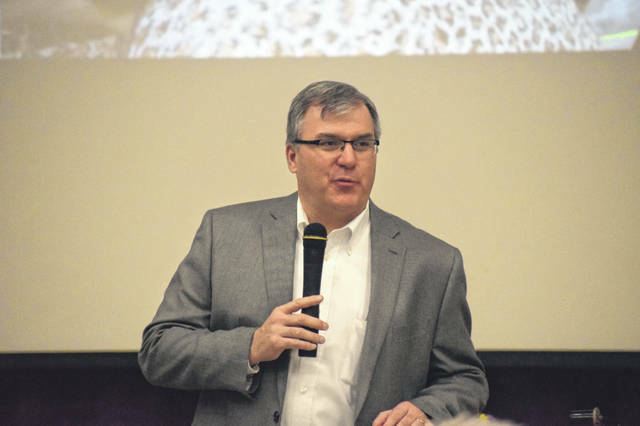 Eaton High School Principal Scott Couch opened the lunch portion of the day by thanking all who contributed to the planning and execution of the event. 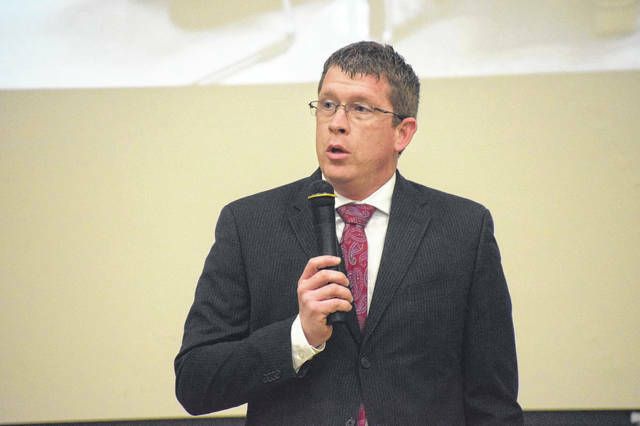 Superintendent Jeff Parker took the podium to reflect on his experiences with this event over the years, because this is his first year as superintendent, but not his first year at Eaton Community Schools. 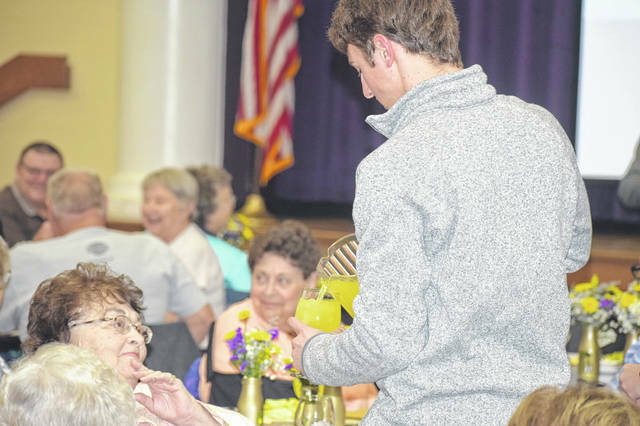 “I spent seven years here as assistant principal for two and high school principal for five, back when maybe you weren’t senior citizens,” he said. 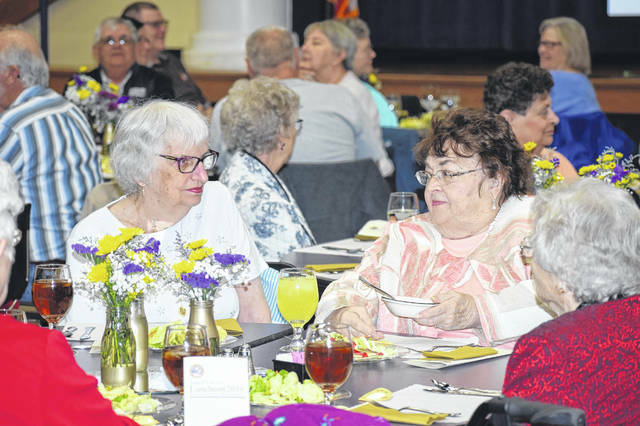 “I’ve lived in this community now for 21 years and it has become my home and that is why I know many of you. 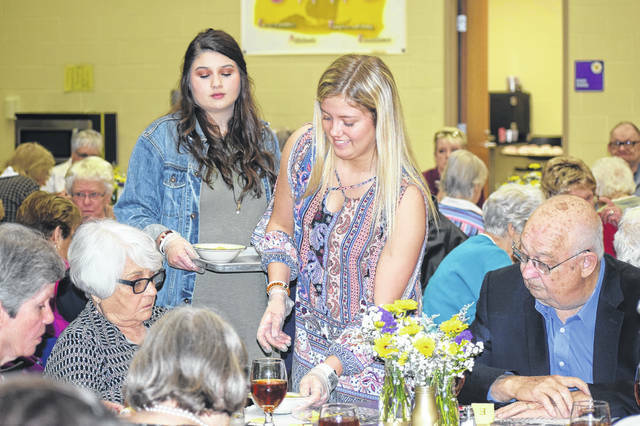 “One more thing, back when I was high school principal, the senior citizen’s banquet was a new experience for me, I hadn’t experienced that before. Mrs. Lisa Noble, board member, was our Family Consumer Science teacher like Mrs. Jennifer Cross is now. “I just remember this was always one of my favorite days within the year. I have one regret, and that one regret was every year I said I would have my grandmother come down. I grew up in St. Mary’s, Ohio. I said I would have my grandmother come down, because I was raised by a single mom. My grandmother was just as influential in my life as my mom. 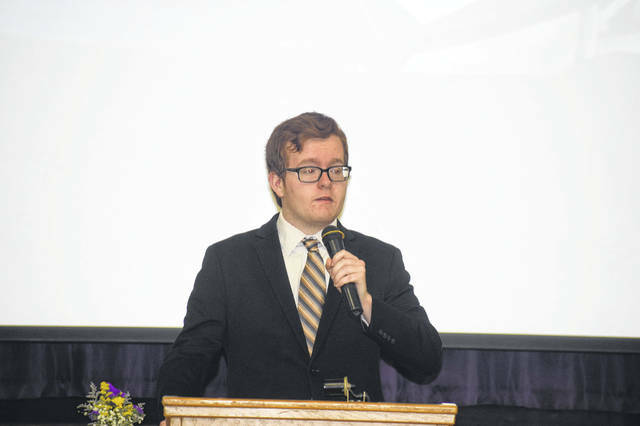 Student Council President Josh Hubbard welcomed all in attendance. 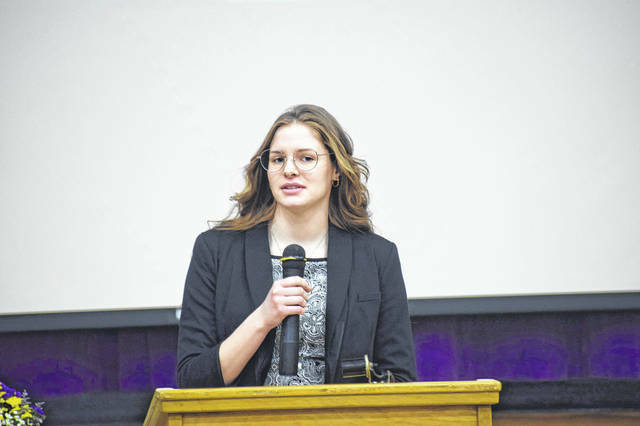 Senior Class President Abby Liddy gave the invocation for the event. 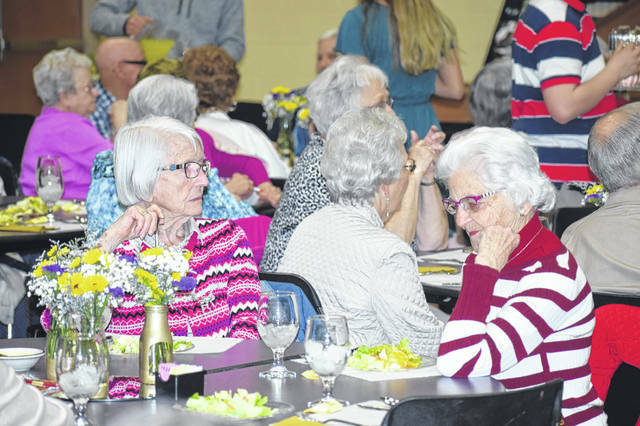 https://www.registerherald.com/wp-content/uploads/sites/41/2019/04/web1_Luncheon16.jpgEaton Community Schools hosted its annual senior citizens luncheon on Thursday, March 28. 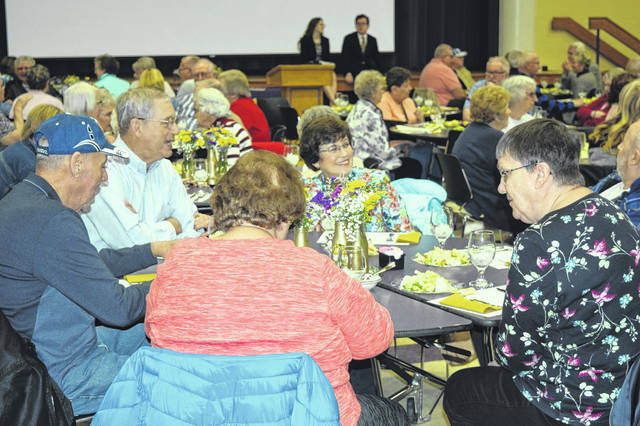 The event featured entertainment from the school’s jazz band and scenes from the school musical. Lunch was catered by Buckeye Jake’s.